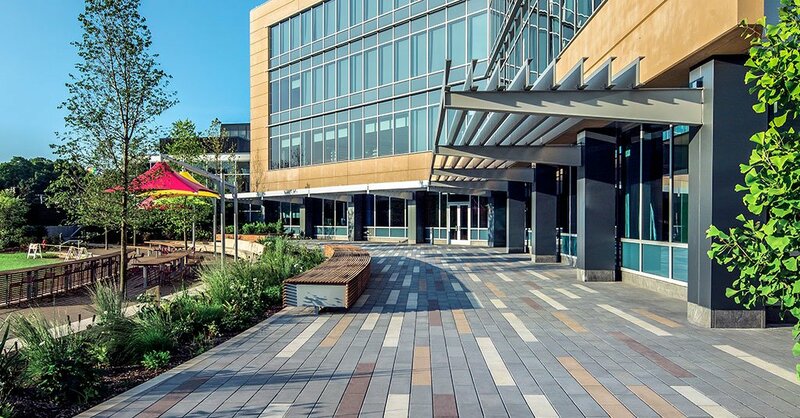 The long and narrow design of our new Promenade™ Plank Paver series facilitates a linear laying pattern resulting in a finished and sleek appearance to complement current architectural design trends. Manufactured using the most advanced techniques and technologies EnduraColor™, they are ideal for the most demanding commercial applications. The Promenade Plank Paver series is available in a variety of Unilock Select finishes such as Umbriano®, Il Campo® and Series 3000®. Important: Promenade™ Plank Paver is not inventoried but is produced on demand for your project. For samples and additional information call 1-800-UNILOCK.